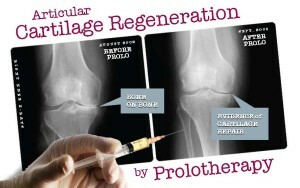 Home » Blog » Regenerative Injection Therapies: Ease Pain. Restore Connective Tissue. Regenerative Injection Therapies: Ease Pain. Restore Connective Tissue. Do you have joints that ache, pop, creak or cause you pain? Do you have an old injury that you just haven’t bounced back from? Have you resigned yourself to a daily dose of ibuprofen, waiting until the eventual joint replacement? If you, a friend or family member find themselves in this unenviable position, don’t lose hope! Regenerative injection therapies may be just the solution to your problem. We invite you view two case studies that illuminate the successes of Regenerative Injection Therapies. How does this type of therapy work? Regenerative Injection Therapies “bio-hack” your body’s own natural healing processes, seeking to reverse disease and degeneration. This then helps to restore connective tissue (muscles, ligaments, tendons and joints) that has worn out over time. The end result is improved mobility and strength, thereby decreasing pain. Why haven’t I ever heard of Regenerative Injection Therapies before? Even though Osteoarthritis (OA), also called Degenerative Joint Disease, is extremely common- affecting more than 25 million in the US alone- treatment options offered are often palliative or eventually surgery is the only typical option. Almost half of all adults in the US have or will develop OA in their knees, so this is a topic that really does affect most of us. Physical therapy or other manual therapies are often first line treatments. If these are not sufficiently adequate, someone is often told to take ibuprofen as needed and to come back in ten years for a total joint replacement. If you have been told something similar and aren’t satisfied with these options, then consider Regenerative Injection Therapies as your next step. So what exactly are these therapies? Regenerative Injection Therapies consist primarily of prolotherapy and Platelet-Rich Plasma Injections (PRP). Dr. Angela Cortal is certified in these modalities and offers both at Heart Spring Health. These injection therapies provide a customized medical solution to the exact location where it’s needed, whether that is a degenerated knee or shoulder joint, a weak ligament structure or a strained tendon. Depending on your unique medical case and history, you may be a candidate for one or both of these therapies. The Platelet-Rich Plasma Injections involve extracting the platelets, which are naturally present in your bloodstream, from a patient’s own blood sample right before the injection session. PRP is a stronger treatment than prolotherapy, though both can be profoundly effective. What do these injections do? Basically, these injections stimulate new growth- right where you need it. The injection signals a regrowth of connective tissue right to the damaged, worn or otherwise degenerated areas of muscle, tendon, ligament or joint. What other conditions does it treat? What proof is there? So why aren’t Regenerative Injection Therapies more common? Unfortunately, these modalities do not contain the pharmaceutical or medical device patents which are a standard first step of FDA regulation. If you think about it, how is the FDA going to regulate your platelets? Everyone is unique and so are their platelets. Because of this, insurance coverage is generally not an option. These two factors are the primary reasons that Regenerative Injection Therapies are not in every hospital and rehabilitation center across our country- much as we might want them to be. This leaves us with anti-inflammatory medications and physical rehab modalities for the millions in the US suffering from OA. And if those are not sufficient, then surgery is often the next course of care. We hope this changes, but for the time being Regenerative Injection Therapies will be an exciting, profound but alternative modality to conventional care. So although these Regenerative Injection Therapies are not currently part of the standard medical paradigm, they’re anything but obscure. The research on prolotherapy started in the 1930s, with both Regenerative Injection Therapies being offered in many orthopedic and sports medicine settings across the country since the 1990s. Many professional athletes, and those wanting to avoid chronic joint injuries or entire replacements, often find their way to Regenerative Injection Therapies. If you would like to also reap the benefits of a non-surgical therapy to restore function and reduce pain- call Heart Spring Health and schedule an appointment with Dr. Cortal. These amazing healing modalities are not just for elite athletes! These therapies can help us all live pain free so we can get on with our life and live it to the fullest. Dr. Angela Cortal is a Naturopathic Physician who has an expertise in Regenerative Injection Therapy- Prolotherapy and Platelet-Rich Plasma Injections. She loves offering these treatments to patients at Heart Spring Health, and sees phenomenal recoveries from past injuries, degenerative joint conditions and chronic pain or instability. ← Recipe from Portland Holistic Nutritionist: Golden Milk Helps with Aches & Pains!